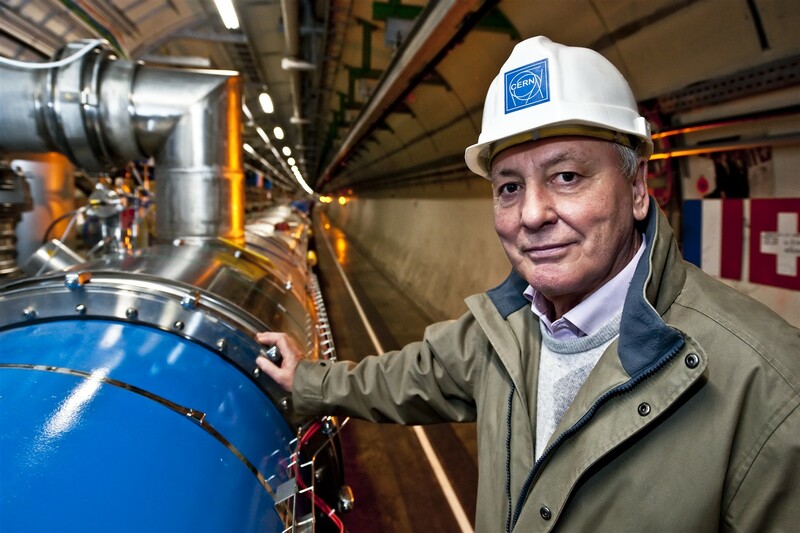 CERN Alumni | CERN…where else? Where else, if not at CERN, would anyone have the opportunity to work on Nobel prize discovery machines twice in a lifetime? This happened to Lyn Evans, Head of the LHC Project from 1993 to 2010 and now proud (and tireless) CERN Alumnus. Lyn arrived at CERN as a visiting scientist in 1969 and started a fellowship in January 1970. From then on, he worked on turning the SPS into a proton-antiproton collider, which allowed Carlo Rubbia and Simon Van der Meer to be awarded the 1984 Nobel Prize in Physics for the discovery of the W and Z bosons. “We started to think of the proton-antiproton collider in the late 70s, because by then it was fairly clear that the W and Z bosons existed and what their mass would be,” recalls Lyn. “We realised that we could get the energy we needed if we turned the SPS into a colliding beam device”. Despite the incident that stopped the machine ten days after it had started in September 2008 (“that wasn’t the worst issue we had to overcome”, says Lyn), the LHC got back on track and started to deliver powerful high-energy beams. In about three years, it was able to produce enough collisions to reach the point of the discovery of the Higgs Boson. “It was fantastic! The LHC is a fantastic machine, it works well above design!”, enthuses Lyn. After retiring as a staff member in 2010, Lyn went on to become the Director of the Linear Collider Collaboration that brings together the ILC and CLIC activities to build a linear collider somewhere in the world. In parallel, he is working on the proposal of a light antimatter experiment that would use CLIC technology to be submitted by the end of this year. Is he dreaming of a future huge accelerator? “No, I would not embark on any such big endeavours, I would rather go for more realistic objectives. But it’s true, CERN is special in the way people collaborate and that’s one of its strengths. So… nothing is really out of reach”.